Are you confused about dating today? Do you crave insight on your relationship? 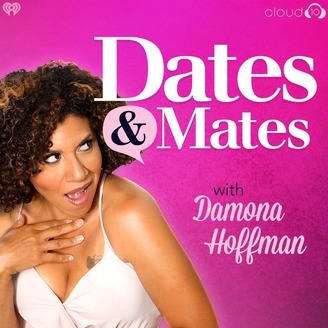 Certified Dating Coach & TV Personality Damona Hoffman demystifies modern love with celebrities and experts in dating, marriage, breakups and hookups. You will laugh, you will cry, and you will believe in love again. 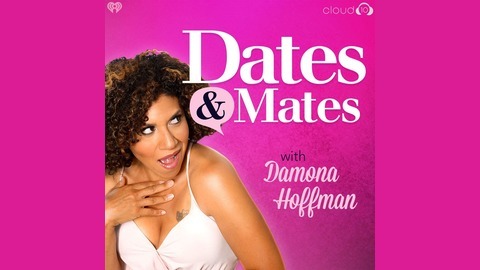 Geoff Cook, CEO & Co-founder of the Meet Group responsible for many cutting edge dating apps joins Damona to talk about new developments in the dating tech landscape. Millennial dating and love life coach, Evin Rose, returns to co-host and give her insight on new dating app features. This week's headline: Should you use Instagram to find dates? Do you like this short format Dates & Mates? Leave us a review and let us know! Follow Evin on Instagram! You're invited to join Evin's free Empowered Dating Community, and get access to game-changing insight, inspiring real talk, and endless encouragement here! Follow Geoff on Twitter and watch out for all of The Match Group's Latest updates! There are over a hundred million people online worldwide. If you're not finding love there, we might have a problem. Luckily Damona has your solution! Go to profilestarterkit.com to get your COMPLETELY FREE guide to writing a profile that will attract quality dates to you.